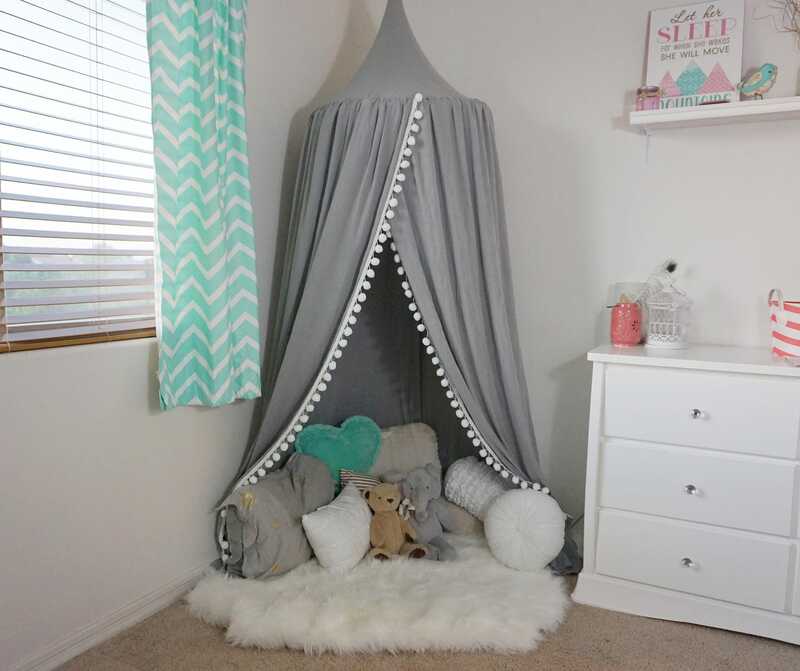 Play canopy in silver cotton gauze and XL pompom trim, cute and classic. It is hand made with cotton gauze instead of regular cotton fabric. 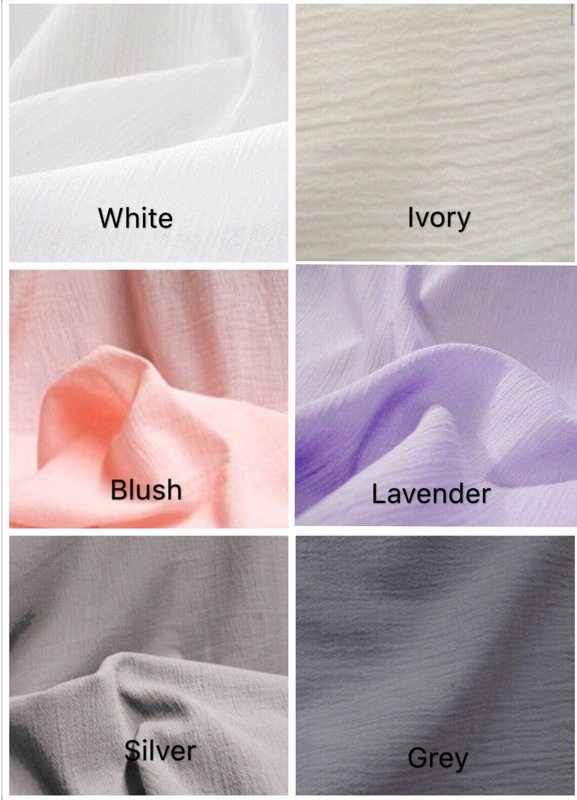 Cotton gauze is the same fabric that some baby swaddle blankets were made from. 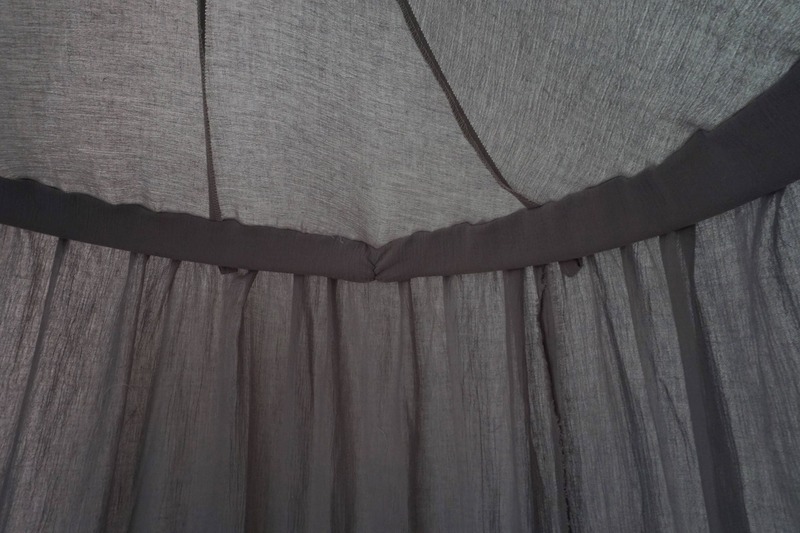 It is stronger, thinner and much softer than regular cotton. No hoop/ring exposed outside. Neat and professional finish inside and outside. 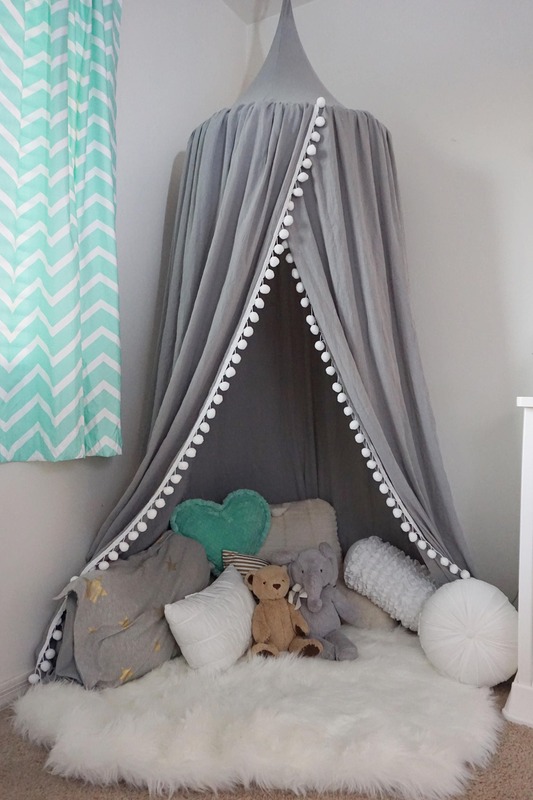 We add several fabric loops inside that you can use to hang a little something. We don't use thin and rackety rings for the top. We use hoops. 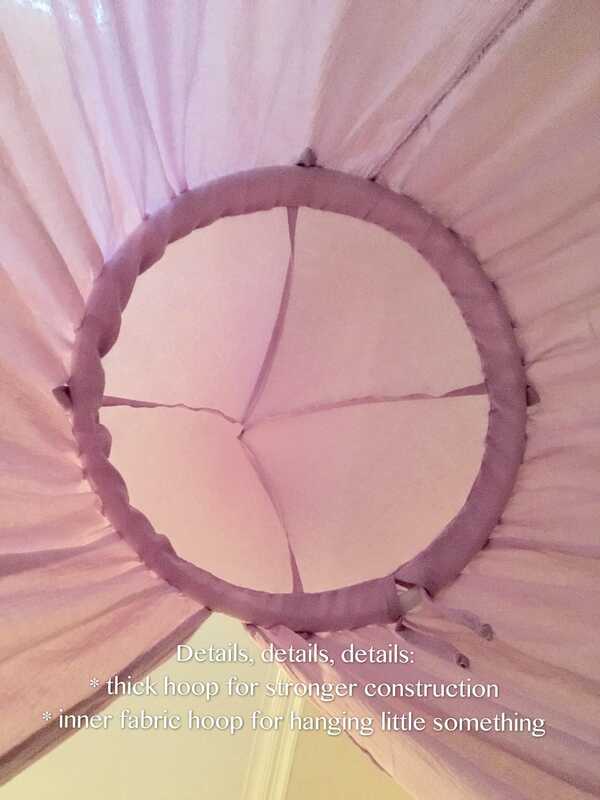 The hoop used for the play canopy is 3/4 inches diameter thick. We have medium size and large size available in store. The medium size is good for smaller area, one or two kids. The large size is big enough for you to sit in and read a book for your kids (as shown in the listing). Other colors shown in the last picture are available in store. Available in Medium size and Large size. The one shown in the picture is the large size. ★ What size do I need? 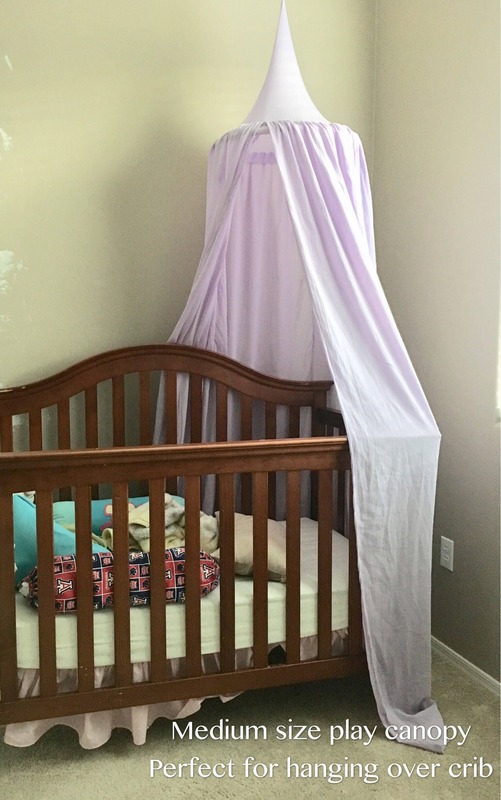 Medium size is the perfect choice if you want to hang over the crib. 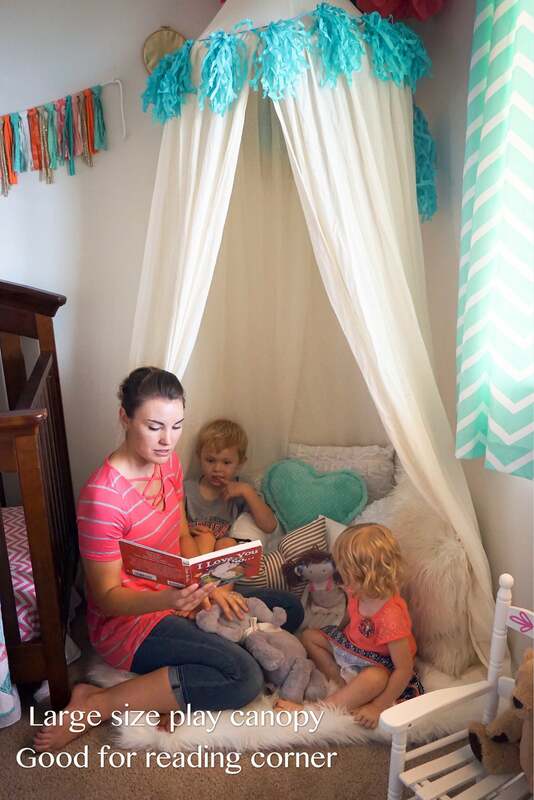 Large size is better if you plan to put it at the corner of the nursery as reading nook. •Hoop is collapsible for easy storage and transportation.